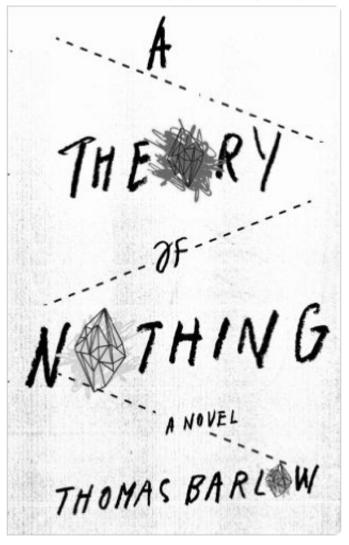 A Theory of Nothing by Thomas Barlow was the most realistic science fiction book I have ever read. The science in the book was fanciful, and even silly, but how the science was conducted was described with brutal, flawless, exhausting perfection. The book relates the history and testing of a new post-modern scientific theory, to be described in a moment. How that theory and testing took place will be so familiar to academic readers that they will recognize themselves on every page. There was the strange genesis of the idea, there were the misunderstood and fragile egos tasked to study it, there were skeptical leaders won over by the raw application of money, there was the scrounging for grants and the sad truth of how money attracts more money, there was the politics of spending the money, the bureaucrats and environmentalists who want to regulate the entire process, there was the initial dismissive skepticism of rival academics which turned to a bandwagon chorus of “It was obvious all along” when it appeared the theory might succeed, a chorus which turned to “It was always obvious it would fail” when the theory failed. Inspiration, luck, sweat, chance, endless frustration, occasional joy, and the feeling of loss when an idea that was once yours finally belongs to others. It is natural to ask, after reading, why anybody would ever choose to be a scientist? A question like that is asked in the novel by a crazed academic female who published in such places as the Journal of Semiotic Justice and who said things like “Science is the absolute tyrant that obstructs absolute liberty. Its henchmen are the impertinent scientists whose business it is to establish a vast body of laws that require our conformity.” She and others felt (not thought) that the “immutable laws” of physics restricted human freedom. And so this female killed herself to make a political statement about nothing, an act which led our hero Duronimus Karlof to wonder about nothing and whether the immutable laws really were immutable. In the Reactor would be a particle decelerator, to create “the opposite of movement” or “anti-movement.” The Reactor was to be built in California, but the paperwork required to build would have required longer than the galaxy will live, so Karlof turns to Nevada, whose government is more receptive to money. Now this Ooala Reactor had to be built in a place with no movement whatsoever, because movement and anti-movement don’t mix. So the desert was chosen, and like in Dune, a vast area had to be denuded of all animal and vegetable life. Plants vibrate, and although this vibration is small, it would be enough to throw off the particle decelerator. As the work progressed, a new life form, a minuscule “putty mole”, which was nothing but a bit of moving clay was discovered. Not quite a sand worm, but a good joke. The key piece of equipment was the picoslumberous decelerometer, which had to hold an object stationary with respect the center of mass of the entire universe. The working of this beastie conjured the theoretical negatronium particle, which was duly searched for and discovered. Thinking on this led Barlow to have Karlof say, “It is one of the extraordinary attributes of modern theories that their theories often prove malleable enough to conform to almost any fact”, which is very true. Now the picoslumberous decelerometer was sensitive in the extreme. Not only did the putty moles have to go, but all motion was regulated. Well, almost all. It was impossible for Barlow to banish people from breathing, for instance, and so these small obstructions are never mentioned. Yet somehow the device was “picking up the reverberations of human emotions itself.” No whining allowed. Nor physical contact. “Once attired, we were sprayed, one by one, with a thin film of mephitic vinegar”, which discouraged intimacy. Then we stared for a long while at the golden auricle, right in the center of everything, while our laxtorpid monotronic decompressors slowly reconfigured the electromagnetic field around it. We gazed patiently with ashen faces while our esocaviated deventilating paracelsian lasers focused their invisible beams directly upon the adamant crystal. Sounds like it needs a Level Five diagnostic! Anyway, the device is at last switched on in the presence of dignitaries. What happens, except to say the decelerometer slows down everything, including thought, I won’t reveal, but it causes the arrival of The Government, and the public end of the project. This allows Barlow to have a wise old man to tell Karlof, “Long ago, we invented the first truly effective way to disconnect Americans from reality. It’s called the national debt…What we’ve shown, through the practical application of simple economic principles, is that if Americans cannot have free energy, they can at least have free money. Public debt is our equivalent of a perpetual motion machine.” How this ties in with a theory of nothing is not hard to see. …our people are putting together a number of excellent models, showing any number of things about the world: not as it is, obviously, but as we would prefer it to be. Yet to advance any of these models on a universal scale—to advance any new belief about the world—we need one more thing. And that thing turns out to be the picoslumberous decelerometer. Only it can slow down thinking enough so that even the “most truculent” government skeptic will believe anything he is told. Note: Reader Thomas Barlow provided me with an e-copy of the book for reviewing. It’s true. Newton and a bunch of old dead white men passed the law of gravity and it’s been holding people down ever since. I can’t wait for the cinematic adaptation of this book! Cmdr Briggs: Thanks for highlighting this book — have purchased the e-Book version. I’ve heard of this book. Sounds like a fun read. Just picked it up, looking forward to it! This reminds me of Aldous Huxley, esp. After Many a Summer Dies the Swan. I’ll have to get a copy. Then there was the story of the Egyptian ruler who, after a bout of bipolar insanity demonstrates repentance by painting the Aswan High Dam a deep brown color: After Mania, Somber Dyes Aswan. An update: I loved the book! “Outstanding questions on this topic remain,” said senior author Lorelei Mucci, associate professor of epidemiology at Harvard Chan School. More research, obviously, is needed.